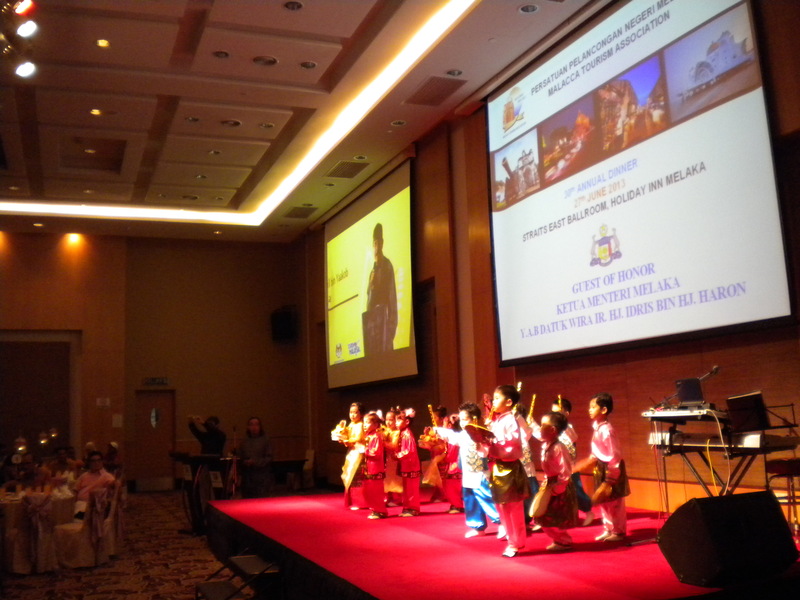 Sinar College was invited to attend Annual General Meeting of Persatuan Pelancongan Melaka (Malacca Tourism Association) on 27 June 2013 at Holiday Inn Melaka. It started at 06.00PM and ended at 11.00 PM. Several matters were discussed among the members in that meeting. The association hopes that it can be a platform that enhance the networking between members and assist in promoting the interest of members. The meeting ended at 07.30 PM and participants were invited for a dinner and watched performance organized by the comittee. Lucky prize event was held afterwards. They left Holiday Inn after the dinner ended at 11.00 PM. On 27 June 2013, Sinar College team went to Sekolah Menengah Kebangsaan Ghafar Baba to participate in the Minggu Kerjaya organized by the school’s Unit Bimbingan & Kaunseling. In the morning, we set up promotional booth in the main hall during the talks by the police and Perbadanan Nasional Berhad. At 12.00 PM, we were invited to give talk to accounting students in Bilik Tayangan, about “ACCA & Career in Accounting”. The talk gave the students meaningful ideas about their path after SPM if they are tp pursue career in financial world. At 2.00 PM, different audience came and we gave talk about tourism industry and career as tourist guide for an hour. Consequently, we had a meeting with Puan Nor Azlida and other the school counseling teachers about our next plan. 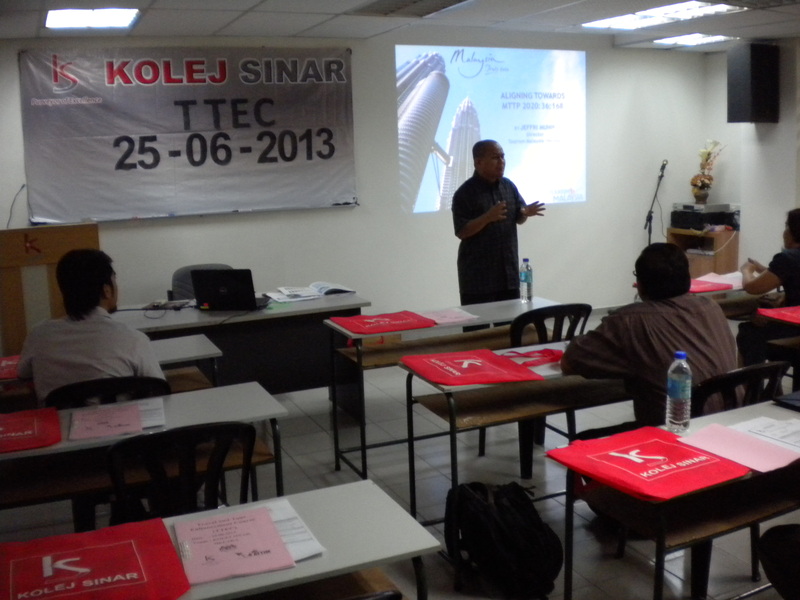 On 25 June 2013, Travel & Tour Enhancement Course (TTEC) was held at Kolej Sinar. Every travel agency which applies for license renewal is required to attend TTEC. Kolej Sinar is the TTEC center for southern zone. Participants were directors / managers of travel agencies from Melaka, Johor, and Negeri Sembilan. Among the speakers for the seminar were Dato’ Lim Chow Beng, Pengarah Kementerian Pelancongan Negeri Melaka and Jefri Munir, Pengarah Tourism Malaysia Melaka. The seminar started at 09.00 AM and ended at 05.00 PM. 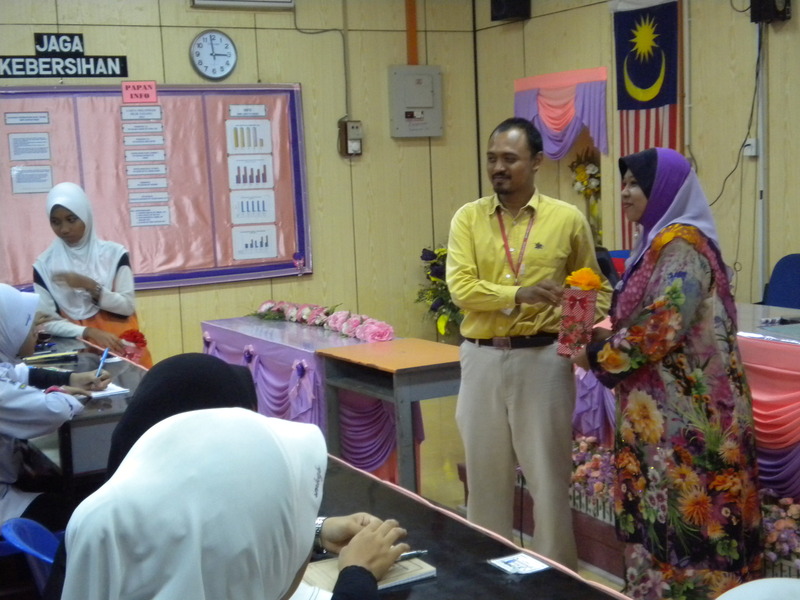 On 19 June 2013, Kolej Sinar representative went to Sekolah Menengah Kebangsaan Seri Mahkota. We decided to contribute to the school by sponsoring a SPM Countdown Board which was installed at a strategic area. We also held a fruitful discussion with teachers there and plan for series of career talks. 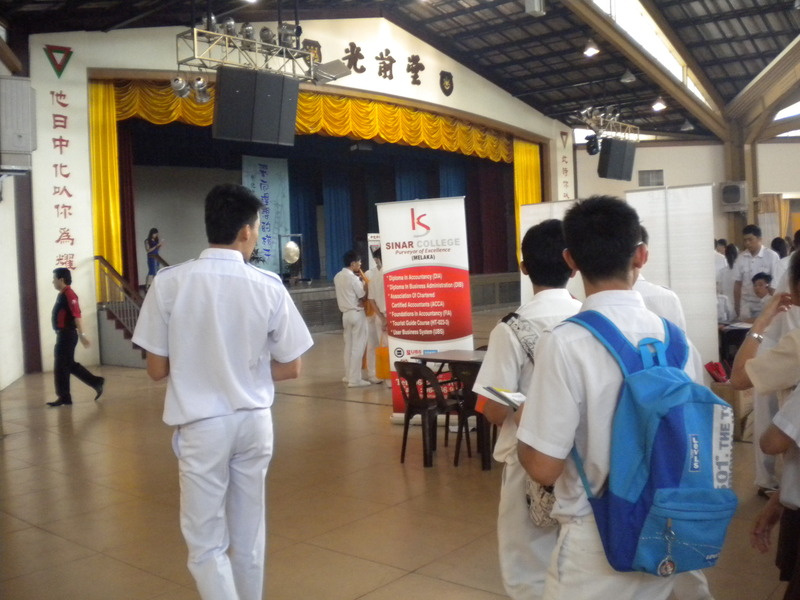 On 19 June 2013, Sinar College visited Chung Hwa High School at Jalan Junid, Muar. We went there for an education fair organized by the school. The exhibition was participated by 30 institutions. It started at 09.00 AM and ended at 1.00 PM. 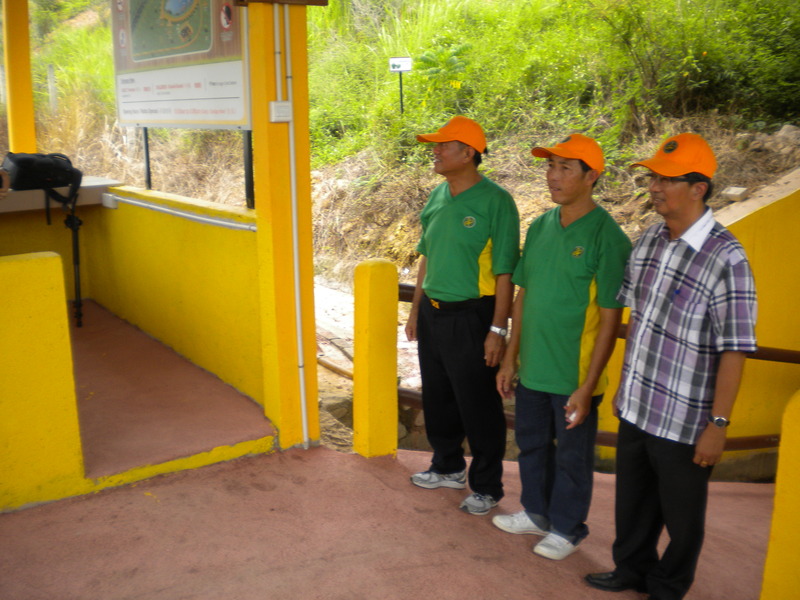 On 15 June 2013, Selandar Farm, an affiliate of Sinar College was offcially opened for visit. The ceremony was officialized by YB Datuk Koh Nai Kwong (Alor Gajah Member of Parliament) and YB Datuk Wira Abd Ghafar Atan (ADUN Asahan). 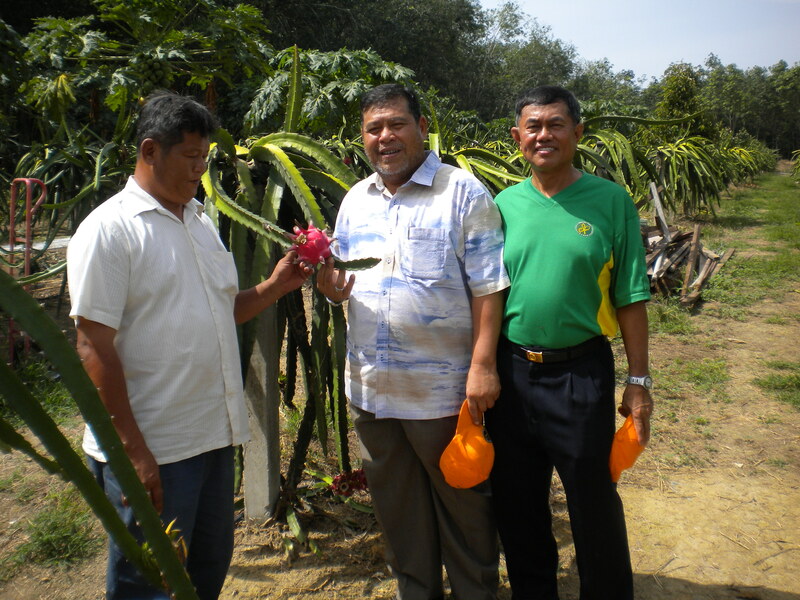 Selandar Farm started to plant Dragon Fruits on its 8 acres of freehold agricultural land in the year 2006 and gradually had included its planting to other local fruits. Besides fruit, visitors can enjoy the natural sceneries such as lake, as well as animals like turkeys, ducks, and rabbits. Visitors can take a tour around the farm and play the paddle boats on the lake. On 14 June 2013, Sinar College went to Muar to participate in education fair oraganized by Sekolah Menengah Kebangsaan Tun Perak. There were 14 colleges that participated in that event. It is a school that is located at the outskirt of Muar town at Jalan Salleh. Many of its students stays at the school’s hostel. The event started at 09.00 Am and ended at 12.30 PM. On 12 June 2013, Sinar College went to visit Sekolah Menengah Kebangsaan Telok Mas. We were invited to present a motivational talk for the students. There were 505 students who listened to the talk. Our speaker, talked about the challeges in the modern world and what are the attitudes and skills needed to survive in the future. 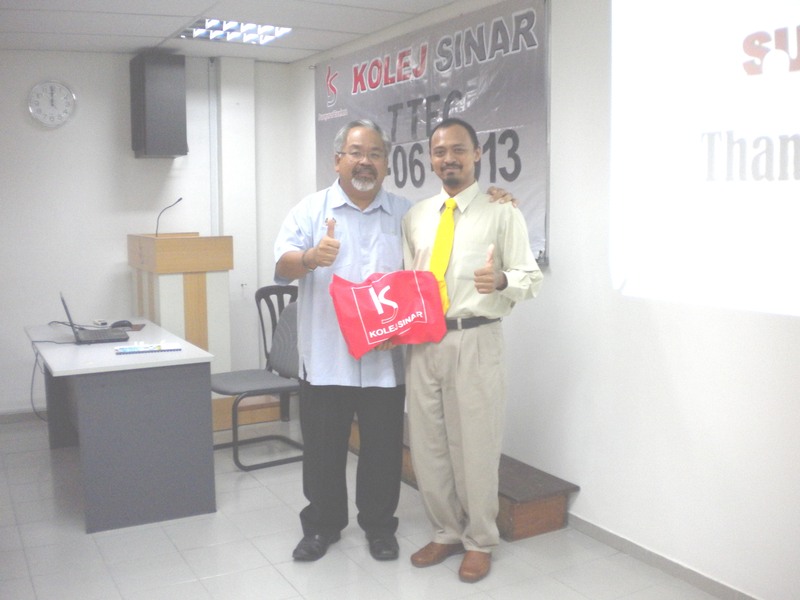 The talk was part of Kolej Sinar’s contribution to the society. 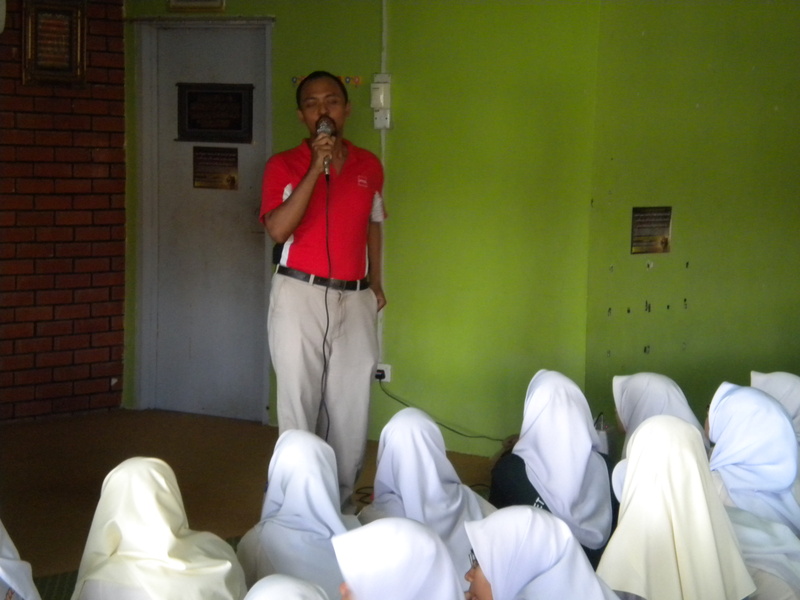 On 12 June 2013, Sinar College went to Sekolah Menengah Kebangsaan Tun Dr Ismail at Bakri as part of our promotional tour at Muar. We participated in the education exhibition organized by the school that involves 20 institutions. It started at 09.00 AM and ended at 01.00 PM. 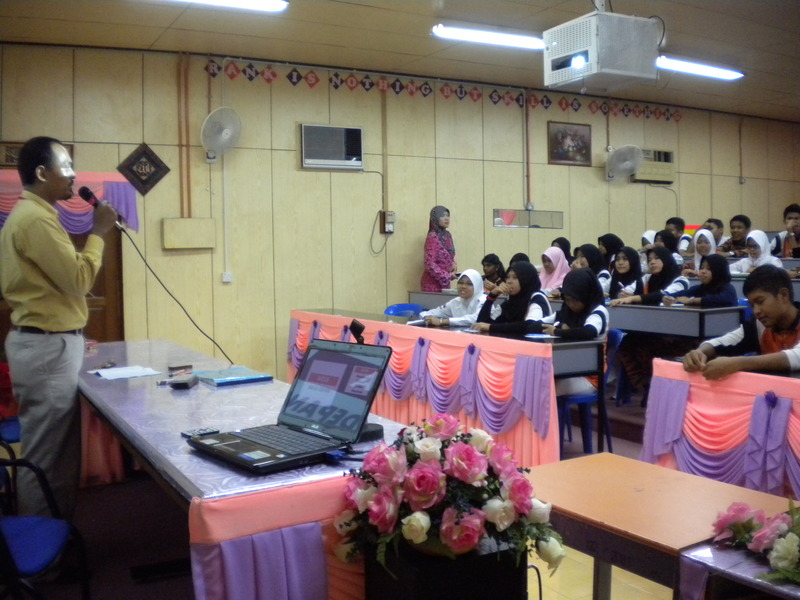 On 11 June 2013, Sinar College went to Sekolah Menengah Kebangsaan Sungai Abong as part of our promotional tour at Muar. We participated in the education exhibition organized by the school that involves 15 institutions. It started at 09.00 AM and ended at 01.00 PM. On 6 June 2013, Sinar College team went to Sekolah Menengah Kebangsaan Seri Mahkota at Merlimau. We reached there at 3.30 PM and had discussion with the school personnel. They proposed cooperation in the way of career talk and fair. Association of Chartered Certified Accountants (ACCA) is the largest professional bodies in the world. Its members are top executives in corporate world. It hold examination every June and December for those who want to become chartered accountants. 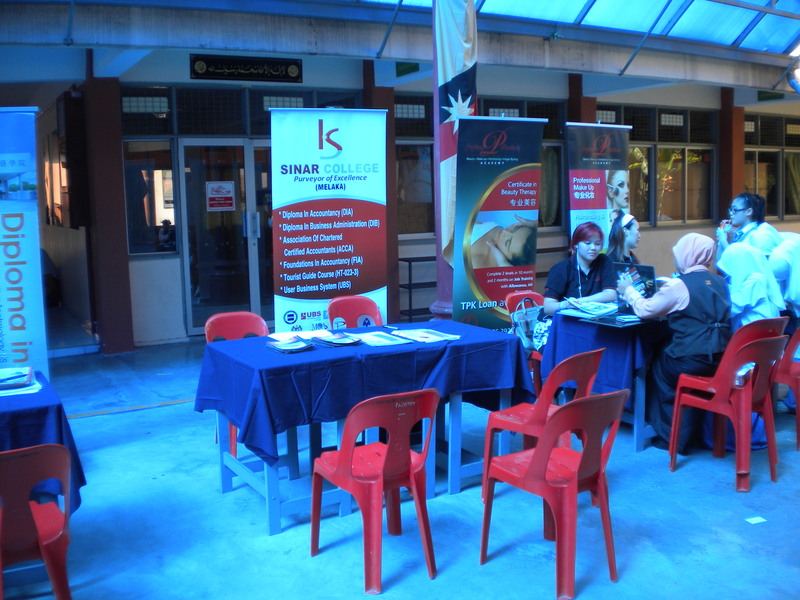 Sinar College is not only accredited learning center for ACCA. We are the only ACCA examination center for the whole Melaka. 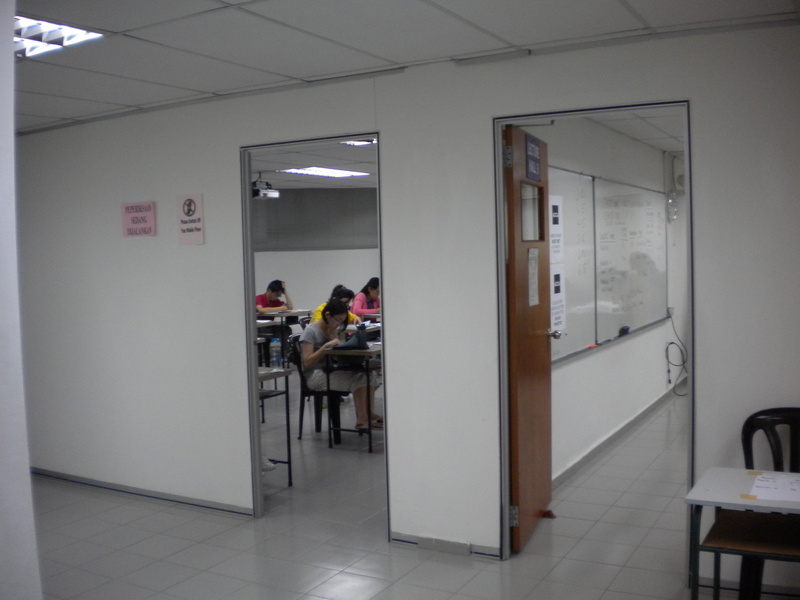 The ACCA examination for June 2013 held here, started on 3 June 2013. The examination stretches to 2 weeks and involves around 2oo candidates.